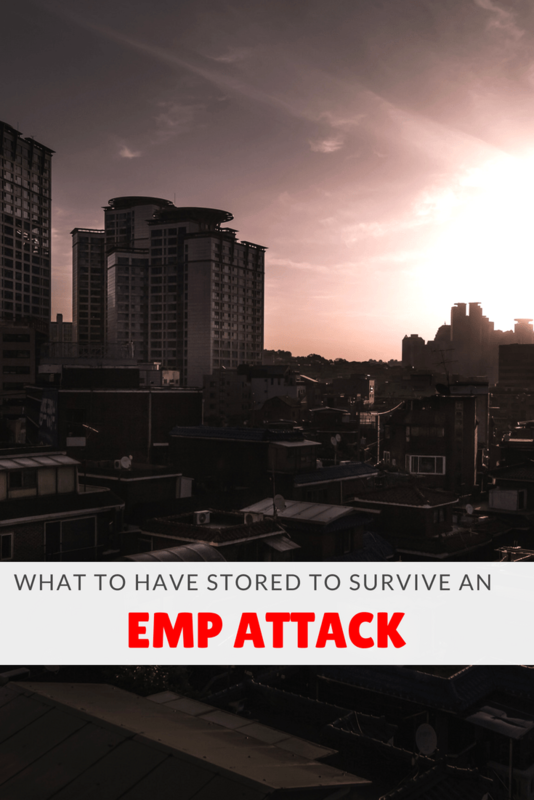 There are many things you will need to do in order to become adequately prepared for an EMP attack, but easily one of the most important things will be to have a proper storage of survival items. Look, an EMP attack is going to be quite bad no matter how you slice it. And part of the reason the EMP would be bad is that you’ll no longer be able to run to the store for things you need, such as food, water, medicine, or supplies. Instead, once the EMP hits, the only things you will have available are what you have stored or what you can barter off of somebody else. To this end, you’ll need to start storing items for an EMP attack if you haven’t already. But many of us don’t know what to have stored to survive an EMP attack. That’s what we’re going to talk about in this article. In essence, your stockpile of survival items needs to revolve around things that are absolutely critical to your survival and that cover your bases. This will include things such as warmth, first aid, sustenance, and security. If you are ever forced to evacuate your home after an EMP attack, your bug out bag will easily be the most important thing you bring with you. This is because if properly packed, a bug out bag contains everything you need to have stored to survive an EMP attack. At the bare minimum, your bug out bag should allow you to survive for at least a three day/ seventy-two hour time period. This is why bug out bags are often referred to as three day or 72-hour packs. The best bug out bag to get will be one that is well-made, waterproof, contains multiple compartments, has a capacity of at least fifty liters, and is not brightly colored. Here are a few more important things to have in a bug out bag. When an EMP hits, there will be no more heat being delivered to your home. This means that while things should be fine during the summer, during fall and winter, things can become particularly chilly. This is why clothing, shelter, and fire-related are some of the most important items to consider when you think about what to have stored to survive an EMP attack. In a previous post, Aaron talks about the 3 survival clothing layers that you should have. You can use that as a guide as a part of what to have stored to survive an EMP attack. Do a quick inspection of your house and ask the following questions: how many warm blankets and sleeping bags do you have? How many warm clothes do you have? How much firewood do you have stacked up outside? Do you have a stove to keep at least one room in your home heated? If the answer is no, then you will need to change all that right away. Start stockpiling firewood. Start collecting warm blankets and clothes. Have plenty of matches and lighters ready to go. You can also add to yourself by covering your windows with black plastic garbage bags, and the heat of the sun will be more easily attracted to your home. You can also read other ways to heat a house without electricity HERE. Clothes, in particular, are important, since they are going to be undergoing more wear and tear during an EMP attack and you won’t be able to get any replacements. It’s why you’ll want to have plenty of extra pairs of socks, shoes, underwear, shirts, pants, shorts, jackets, and coats. Since you’re not going to have access to a medical professional during an EMP attack (most likely), it will be entirely up to you to attend to yourself medically speaking. Food is a big one. You can’t live without it. You can go three days without food, but it’s only going to take one day without it before you suffer from a severe loss of energy. Furthermore, food is difficult to manage because it spoils and goes bad easily. And yet lots of food is something you need to have in your home when you think about what to have stored to survive an EMP attack. That is why it is important to understand the basics of long-term food storage. Fortunately, some foods are much more long-lasting than others, and these are the ones that you will want to have stored away in your pantry. In another previous post, we talked about foods with long shelf lives. PASTA: who doesn’t like pasta? What to have stored to survive EMP attack in your stockpile absolutely needs to include personal hygiene items. Sanitation standards are going to become incredibly poor during an EMP attack. Trash will litter the streets. Toilets will no longer work. Sewage and human waste will be dumped everywhere. The air will be putrid. Diseases will spread. What to have stored to survive an EMP attack absolutely needs to include water. This is not-negotiable. But as with food, water is something you absolutely must have stored to survive an EMP attack. Without it, you literally cannot last longer than three days, and just one day without it will cause you to go dehydrated. Adding to water’s trickiness is the fact that it doesn’t take much to go bad, and contaminated water can be more dangerous than not drinking any water whatsoever. And one more problem with water is you need lots of it. Every person in your family should have at least one gallon of water a day for both cleaning and hygiene purposes. The golden rule to follow with water, therefore, is to have at least one gallon of water per person per day. You won’t be able to store all of the water you need to survive an EMP attack, but you can store lots of it in big fifty-five gallon drums and in small water bottles. The rest you’ll have to get through bartering and natural sources. Weapons are for your safety and your security. You will specifically need to have defensive arms and the ammunition required to fire them. Let’s talk about ammunition first. Ammo is going to become a naturally precious commodity after an EMP attack. Every single bullet counts and you’re going to need a healthy stockpile of ammo if you want it to last you for the ten years that an EMP very well could last. At the bare minimum, you’re going to need one thousand rounds per caliber. That may sound excessive, but considering the fact that this is a ten year time period (and likely beyond) that we’re talking about, it’s really hardly anything at all. Your ammo should be stored in a cold dark room free of moisture. A basement or attic with a proper dehumidifier would be suitable. Also, store your ammo in metal containers as further resistance from outside elements. The specific calibers of ammunition your store is also important. Specifically, you’ll want to focus on the calibers that you need and the calibers that are popular. Even if you don’t actually have a gun for a particular caliber, setting aside a box or two of that caliber could be worth if it’s popular since you could have something to barter with. In conclusion, what to have stored to survive an EMP attack needs to include each and every one of the items that we have covered in this article. 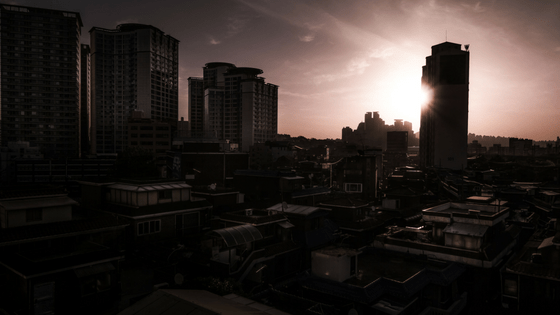 The world after an EMP is going to be very dangerous, unforgiving, and you’ll no longer be able to take things for granted. No longer will you be able to run down to the store to resupply yourself. Instead, you’ll be on your own, and the only items you will have access to are what you have stored and what you can hopefully be able to barter off of other people later on. A bug out bag, warmth and shelter items, a first aid kit, long-lasting food, personal hygiene items, water, and firearms and ammunition will easily be the most important things of what to have stored to survive an EMP attack. Previous: What Will Work After An EMP Attack?